Close to restaurants and major shopping, the landscaping here is mature and the maintenance team is responsive. Plus, there are monthly resident activities. Close to schools and covered in green grass and shady trees, the lease terms here are flexible and housing vouchers are accepted. The bilingual staff is ready to show you the large bedrooms in the different apartments units. The granite countertops here give a nice feel to the apartments, and in the spring, flowers bloom throughout the complex. A large playground is perfect for children. This apartment complex gives residents high-speed Internet, cable, and phone as part of their rent. There’s also a beautiful, sparkling-blue pool. The amenities here are nearly endless, and the views are fantastic. This complex regularly offers specials to help you transition into your new home. The first thing you notice here is the waterfall entrance, and then you’re taken in by the beautifully landscaped grounds. This complex features premier resort-class amenities. 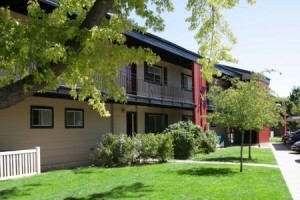 Conveniently located near major shopping, this complex includes Internet, cable, and phone in the price of rent. 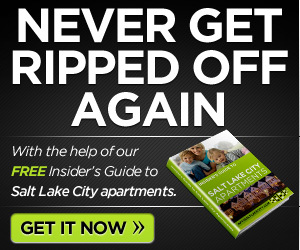 The apartments here are notably large, with the biggest 3-bedroom unit coming in at 1,500 square feet. Optional garage and storage units are available here and the apartments are close to restaurants, freeway access, schools, and public transportation. Near the E Center, there’s always something to do — visit the mall, attend a concert or a play, dine at any one of dozens of nearby restaurants, or stay home in your beautiful apartment for an evening in. 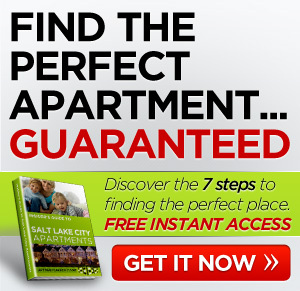 Many of these apartments come in well below average Salt Lake City rent. Visit a couple of them and I think you’ll fall in love.